As any DC Comics fan will tell you, one of the greatest strengths of the “Batman” series is the deep and compelling rogues gallery against which the Dark Knight defends Gotham. Now, for Batman’s first solo entry in the DC Cinematic Universe, we will see Bruce Wayne take on Deathstroke, a hired gun who didn’t start out as Batman’s nemesis, but has become one of DC’s most popular villains. Deathstroke was introduced to the DC universe in 1980 as Slade Wilson, a born fighter who lied about his age to join the Army at age 16. He quickly rose through the ranks and became known for his ability to master dozens of combat techniques. After a tour in Vietnam, he was selected for a government experiment to create meta-human soldiers. The experiment was a success and gave Slade increased strength and healing powers. Unfortunately, all these powers just render Slade expendable to his commanding officers, and he’s sent back to the front for a suicide mission. Slade decides to take matters into his own hands, instead rescuing his friend and SAS operative Bill Wintergreen before deserting the Army. The two decided to use their new powers to strike it rich, eventually transforming Slade into the mercenary known as Deathstroke the Terminator, though he would later be known as just Deathstroke after the release of a certain James Cameron film. 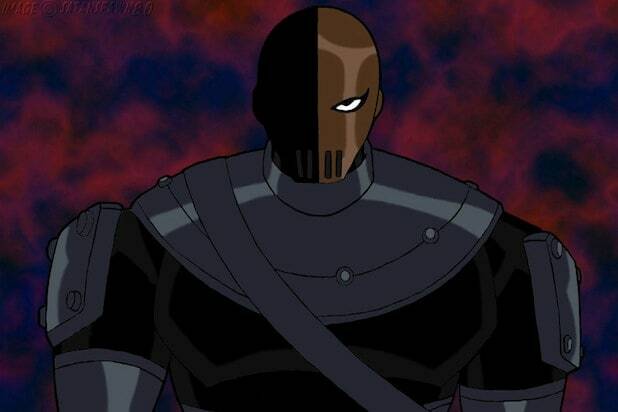 If you want to see Deathstroke at his finest, check out Glen Murakami’s animated “Teen Titans” series, in which he is the main villain, voiced by Ron Perlman. Because the name “Deathstroke” was considered too intense for Cartoon Network’s young viewers, he was referred to by his real name, Slade. Regardless of name, he proved to be one of the most formidable foes in any DC cartoon, at one point even blackmailing Robin into becoming his apprentice by threatening to kill the other Titans with a virus. Robin’s obsession with capturing Slade would become a common plot thread in the series. “Teen Titans” also adapted the famed “Judas Contract” story, in which Slade destroys the Titans from within with the help of Terra, a meta-human who becomes a member of the team in order to provide Slade information about the Titans’ individual weaknesses and secret identities. The footage of Deathstroke that Ben Affleck uploaded onto Twitter shows an outfit design that is very similar to that of the new Rebirth series, but it’s not clear if that is a hint at what kind of a villain Deathstroke will be. Will he be the callous but sympathetic hunter from the ’90s, or will he be the irredeemable monster that has plagued the Titans for so long? 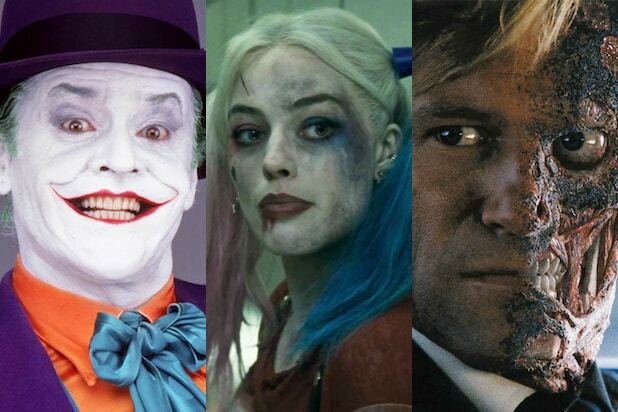 Either way, Deathstroke will have big shoes to fill as he follows in the footsteps of critically acclaimed Batman movie villains like Danny DeVito‘s Penguin, Tom Hardy‘s Bane, and Jack Nicholson & Heath Ledger‘s takes on the Joker.